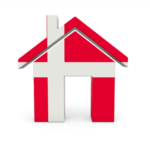 Denmark is considered to be one of the most economically and socially developed countries in the world. Denmark is a beautiful place to visit. One can find a peaceful environment in Denmark. Its fascinating culture attracts millions of people every year. In other words, it is the best place to spend holidays. Denmark is considered as the world’s happiest country that has very low crime rates. It also has very less safety issues with excellent healthcare services. It is also considered as best destination place for tourists who want to explore the best places in the world. Denmark has many beautiful sandy beaches, rolling dunes and hidden coves which make it a tourist attraction place. It is the best place to spend summer as well as winter holidays. Also, it has rich intellectual and artistic cultural heritage. 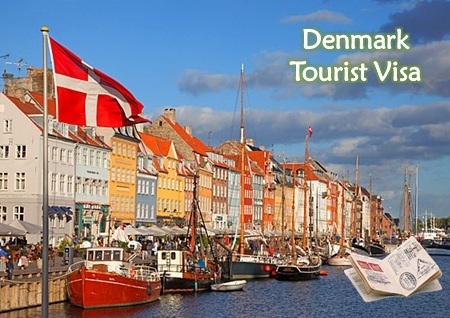 The Tourist visa is a Short Term Visa designed for those applicants who want to visit Denmark for a short period of time. This visa is issued for the purpose of tourism and leisure in Denmark. This visa is very beneficial for people who want to explore Denmark and its culture. Basically, this visa grants tourists applicants the right to live in the entire Schengen region for up to 90 days. Their stay in Schengen areas should not exceed 90 days in a six months period. Denmark is the perfect place to get active and to spend holidays. Bikes, kayaks, water sports and hiking; it’s all accessible, easy to plan and fun. In fact, the first thing a tourist normally notices is the enormous amounts of bikes. Everyone use bikes in Denmark. There are many outdoor activities. So through this visa, the applicants will get to know the culture of Denmark. Also, Denmark is very clean and safe. So as a tourist, the applicants will be living in a place where the air is fresh and the pollution level is very low along with the crime rates. Denmark has so many beaches which are a great destination for tourist attractions. So this visa holder will get an opportunity to enjoy their holiday at beaches. Denmark is considered to be as the happiest country, so a tourist will be enjoying their holidays in the world’s happiest place. It has the very peaceful environment. This visa allows the applicants to visit in all Schengen countries. In other words, the applicants who are a holder of this visa can explore Schengen countries and their culture. Austria, Belgium, the Czech Republic, Denmark, Estonia, Finland, France, Germany, Greece, Hungary, Iceland, Italy, Latvia, Liechtenstein, Lithuania, Luxembourg, Malta, the Netherlands, Norway, Poland, Portugal, Slovakia, Slovenia, Spain, Sweden and Switzerland. The applicants must have a passport or other form of valid travel document must be valid for three months past the visa expiration date. The applicants must have passport or travel documents that must have been issued within the past 10 years. The applicants must hold a travel insurance policy to cover possible expenses in connection with a return for health reasons or death, indispensable medical treatment or acute hospitalization during their stay. The insurance policy must cover all Schengen countries, and the minimum policy coverage is € 30,000. The applicants may not be registered as an undesirable in the Schengen Information System (SIS II). The applicants may not have been deported from Denmark and given an entry ban. The applicants may not be listed on UN or EU sanctions lists. The applicants may not be listed on the national sanction list of religious preachers with entry ban.